I love figs and pork. Walking through Stew Leonard’s the other day I saw a crate with 24 lovely purple figs. 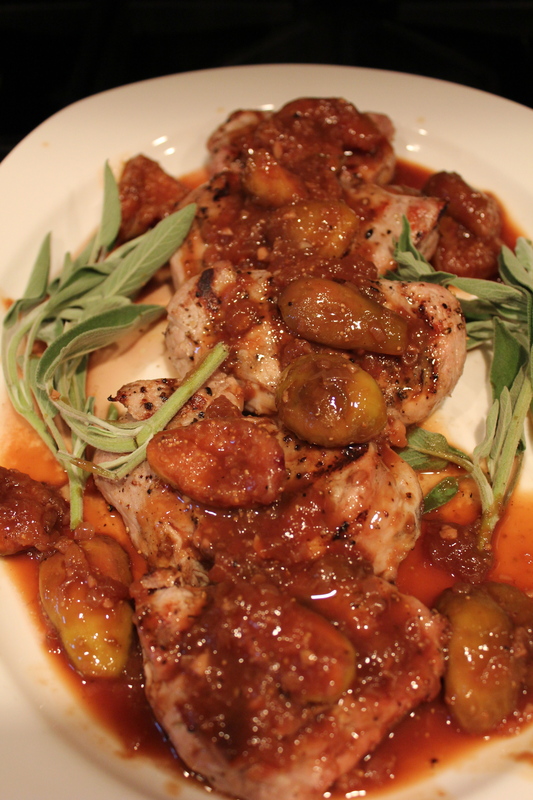 Along with the figs, I bought pork tenderloin and made Grilled Pork Medallions with Fig Sauce. Remove the small tail. 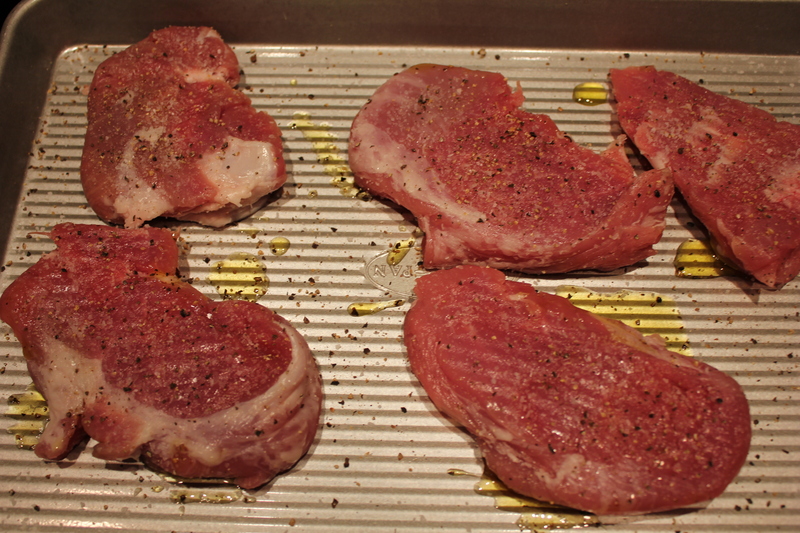 Cut the pork in half and each of the two pieces in half. Stand each piece of pork cut side down on the board, cover the top with plastic wrap and using a meat mallet or heavy-bottomed pan, pound the meat to a one-inch thickness. Place on a tray. If you want to use the tail, pound it on the uncut side to a one-inch thickness. Otherwise, freeze and save for another purpose, such as a stew or for grinding. Season each medallion with salt and pepper on both sides. Remove the tops from the figs and discard. Chop the four ripest figs in to small pieces. Slice eight figs into quarters. Heat the oil in a large sauté pan over medium heat. Stir in the onions and garlic and sweat for three minutes, or until the onions have softened. Add the wine, bring to boil and cook for 3 minutes. 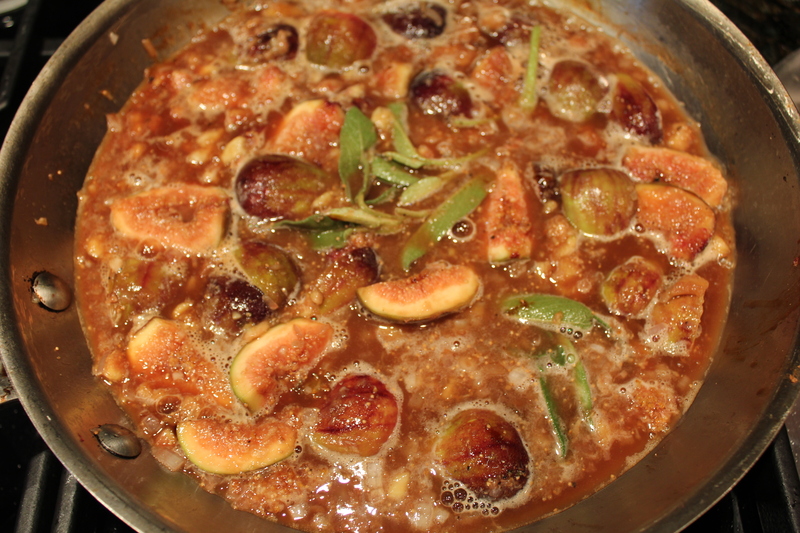 Stir in the figs, chicken stock, sage, salt, and pepper. Bring to a boil then lower the heat to a simmer and cook for 15 minutes. 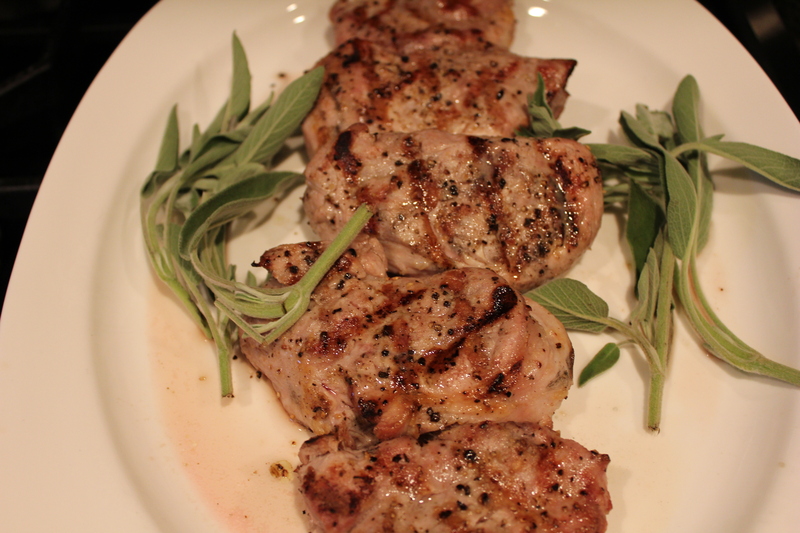 In the meantime, grill the pork over high heat for about 4 minutes per side, turning halfway through to get the grill marks. Remove from the heat and let sit, lightly covered, on the serving platter for four minutes. Sauce the medallions and serve or serve the sauce on the side. Reduce the amount of salt added if using a salted stock. It looks so good. I love the simplicity and seasonal taste. Thank you!